I have family in Arizona that I visit often, so I’m no stranger to the natural wonders that it has to offer. I’ve been to the canyons and seen all of the famous rocks multiple times. 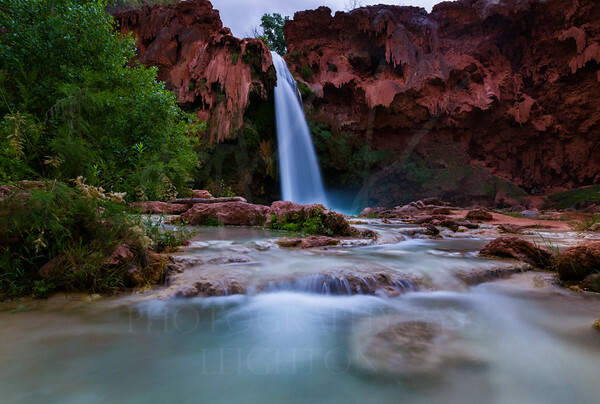 But on my last trip to Arizona, I resolved to make it out to a lesser known gem - Havasu Falls, one of the most beautiful waterfalls in the world, hidden away in a small canyon deep in the Havasupai Indian Reservation. Both the ups and downs of the journey (literally), in addition to the awe-inspiring views that came with it, easily make it one of the most memorable of all my travels. We spent a day driving up from Phoenix to Peach Springs, the nearest community, and spent the night. Many of the residents have either been to Havasu or are aware that most visitors are going there, so ask them questions if you have any. Early the next morning, we drove an hour to Hualapai Hilltop, the beginning of the descent into Havasu Canyon. The parking lot at the top is very small, so most people park along the road leading up – prepare to park far away, and don’t leave anything valuable in your car since you’ll be leaving it at least overnight. From the hilltop there are two options to reach the falls: by foot or by horseback. Most choose to hike the 10 miles, and arrange to have their camping gear packed on mules so they can pick it up once they reach the campgrounds. We wanted to try riding horses, so we had made previous reservations. Unfortunately, our reservations were lost even though we confirmed just earlier in the week, and we ended up waiting a couple hours for horses to be brought up for us. To our added surprise, we discovered (while already seated on the horses) we wouldn’t be accompanied by a guide. We received a 30-second lesson on how to ride a horse, a very reassuring “don’t worry, the horses know where they’re going”, a kick and we were off! The ride down was long – you could honestly probably walk faster, most people did – and a cycle of fright, exhilaration, fatigue, and more fright (my horse decided to take a sudden detour through a small creek for drink, needless to say I panicked). Several times we tried to make our horses go a little faster, but they would run for about 30 seconds before deciding to walk again. Three hours later we finally arrived at the village where the horses are kept (they really do know where home is), and walked the remaining two miles to the campgrounds. On the way, we came upon Navajo Falls, the first of the waterfalls around the camping area. 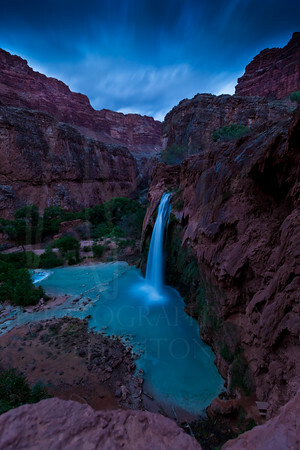 While these falls are not as touted as the namesake Havasu Falls, they are equally beautiful in their own way. They are not tall, but a wide series of falls cascading over rocks covered with moss and other greenery. The water itself is a majestic emerald color, which sets it apart from the other falls in the area. We took some time to walk around and look at the falls from various viewpoints before moving on, already feeling refreshed from the long trip in. 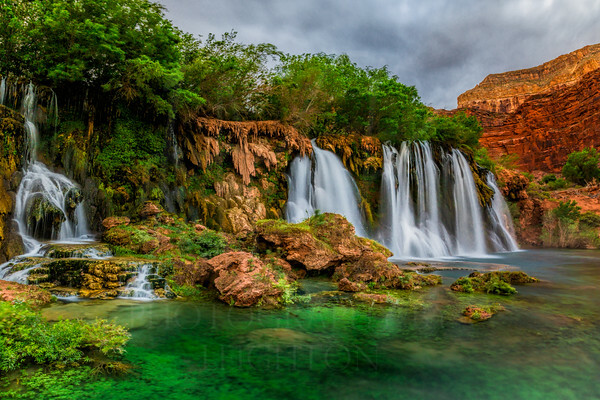 Finally, at long last, (well, one day, many miles, and some sore muscles later), we made it to Havasu Falls - and it was worth all of planning, effort, and money spent. The signature blue-green color of the water is mesmerizing and a stark, interesting contrast to the red rocks that flank on each side. It’s hard to tell when you view Havasu Falls from above, but when you stand level with it you realize just how tall and mighty it is, and just how small you are in comparison. The pool at the bottom is fairly shallow and branches off into other little falls and pools. I took my shoes off and got right in, slightly surprised but not deterred by the icy cold water rushing around my legs. The water is clean, not enough for drinking, but definitely for swimming, and even for taking a bath! Photographs can’t capture all of the beauty of the falls, but that didn’t stop me from trying. I returned later that night to get a shot in the moonlight. Campsites are first come first serve, so once you find a good spot, claim it by setting up your tent. Or, if you’d rather sleep under the stars, find a spot to hang your hammock! There really is no bad spot on the site unless it’s raining, in which case be sure you are set up on level ground to avoid flooding. We learned this the hard way, as it just so happened to pour the one night we were there. There are food stands open during the day, but most people bring their own food to prepare and gas burners to cook on (no open fires allowed). We came less prepared and dined on Pop-Tarts and Goldfish that night, drooling as we smelled others’ stew or chili or spaghetti cooking. Bathrooms are on both ends of the campgrounds. The toilets don’t flush, but a non-flushing toilet is better than no toilet, and there was even toilet paper provided. If going to the bathroom at night, be sure to bring a flashlight (or even better, a headlamp – hands-free!) as there are no lights inside the stalls. 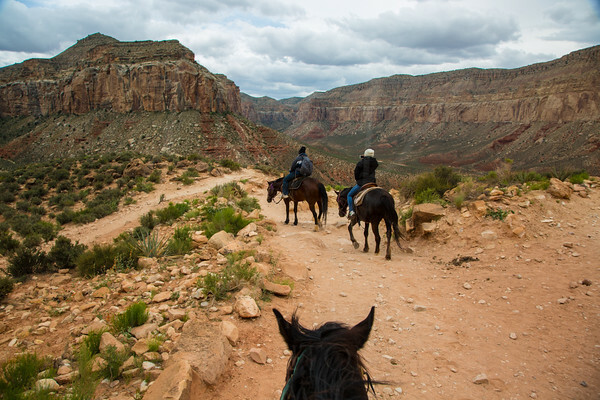 Similar to making your way into Havasu, you can get out by hike or horse – or helicopter ride. We opted for the helicopter, but in retrospect I wouldn’t recommend it unless you are in no rush at all and/or are traveling with someone who might be unable to make the trip by walking or horseback. 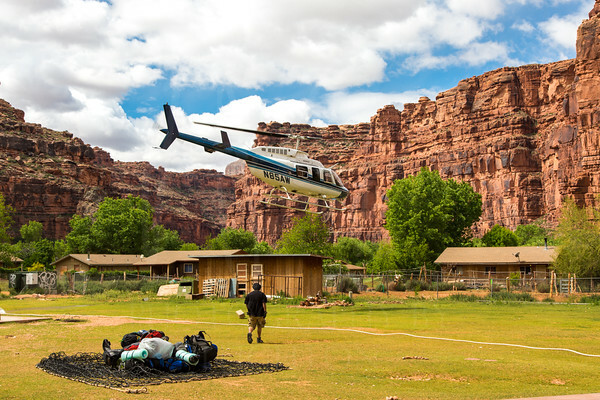 The operations are run by the Supai villagers, and it’s no LAX. There is no way to make advance reservations – you just show up on the day of and hope that you make it on the list. We made our way back to the village at around 8 a.m. and there was already a long line of people waiting. However, all order was lost once the man with the sign-up sheets appeared, and a mad rush for the clipboard ensued. By the time we got a hold of it, we ended up on the second to the last page. After that, we waited. And waited. And waited. There was only one helicopter running that could take up to six passengers each trip. Six hours later (I lost count of how many times the helicopter took off and returned), it was finally our turn. Another five minutes, and we were back at the Hilltop - it’s ironic how long we had to wait for such a short ride! A Once-in-a-Lifetime Experience… Or Not? As we drove off to our next destination for the trip, the Grand Canyon, I couldn’t help but think about Havasu Falls and relive every moment of the past two days. We were tired, hungry, and hadn’t showered since the night in Peach Springs, but somehow I wasn’t ready to leave. We laughed as we remembered all of the trip’s highs and lows. My travel companions jokingly called it a “once-in-a-lifetime” experience, but I know I’ll be back one day. 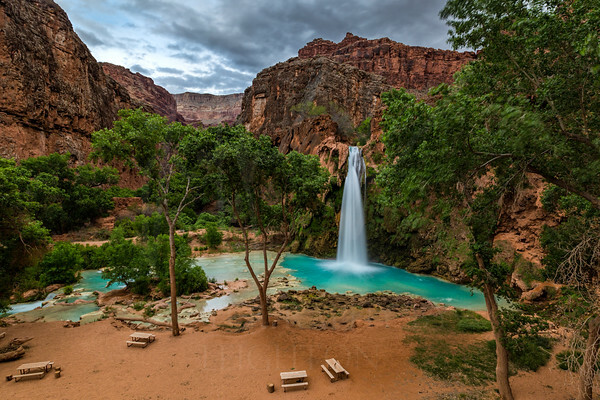 Because Havasu Falls is in such a remote location and fairly difficult to get to, preparation is key when planning a visit. These are a few tips that I followed on my trip or learned along the way. 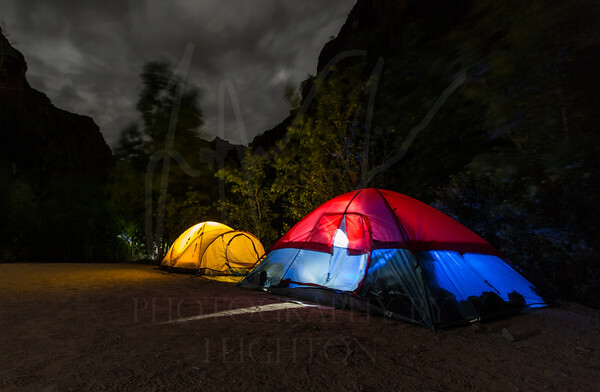 -There are no day trips to the falls allowed; be prepared to spend at least one night in the campgrounds. -Ideally you should come with a tent (a four-season tent is best in the event of rain) and other necessary camping gear. -However, pack as lightly as possible! We definitely overpacked and it weighed us down when we trekked back to the village. -There is little to no cell phone reception, so be sure to have all the information you need stored elsewhere.